The Microbee is an Australian made home computer that was popular in the 1980's. FPGABee replicates the digital circuitry of a Microbee and can run original Microbee software. A series of articles describing the build of FPGABee version 1 with functionality roughly equivalent to a ROM based PC85 model. 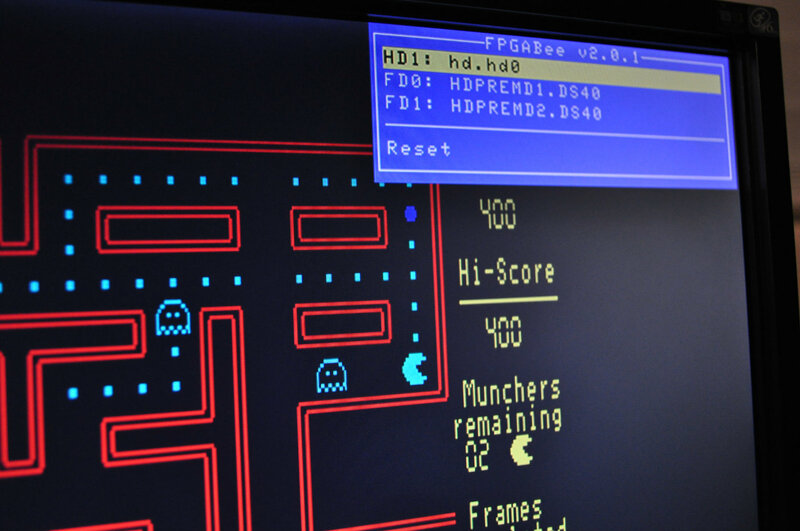 These articles cover building of FPGABee version 2 which took a new approach and resulted in functionality equivalent to a HDD based Premium 128K Microbee. Looks at packaging FPGABee into a small plastic case, with a custom PCB using a tiny Xula FPGA board.